Nestled amongst exquisite mature trees forming natural walk ways, birds chirping and antelope roaming freely, creates the perfect setting for the perfect wedding. 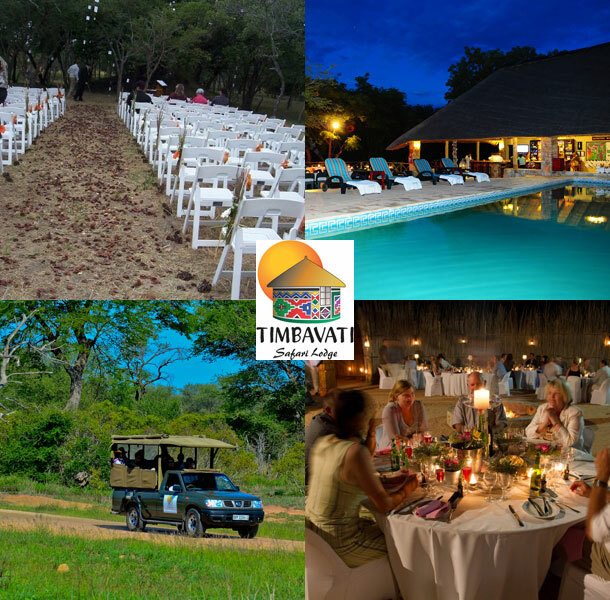 Whether you are looking for a small intimate ceremony or a large exquisite ceremony, the team at Timbavati are known for their flexibility in wedding planning. We are here to help put all your ideas into place and work a long side the bride and groom or are capable of planning the day from start to finish, ensuring you have the picture perfect wedding. Packages are tailor made and specific to your needs. Take a walk around the property and pick your very own ceremony site whether it be amongst the rustic features of the bush or in an open area with the view of the mountains in the background; all requests are catered for. The African styled open aired Boma is the perfect setting for the evening meal or if you prefer a little more relaxed how about next to the sparkling swimming pool. The traditional African braai menu is here to tempt your taste buds but if you have delicacies in mind we are able to specialize the menu to your requests. The lodge also has 35 rooms offering accommodation in Klaserie for your family and friends. 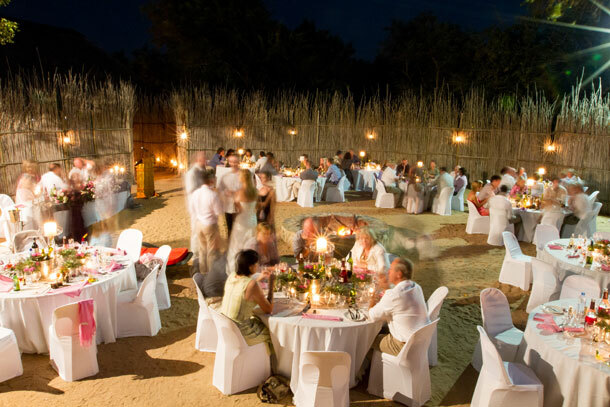 To book this beautiful venue visit Timbavati Safari Lodge. I love this idea… an outside wedding in such a beautiful place, surrounded by nature and everything done all in one place!! genius! It’s very helpful knowing that you can have your cake, make-up, music etc done from one place. No complications! Beautiful venues, shall definitely consider this for my wedding!